If you are chocolate fanatic like me, your taste buds are probably trained to taste chocolates like a seasoned connoisseur. I’m sure you can tell even on the first small bite if the chocolate is any good or not. Anyway, Have you tasted Goya chocolates lately, they’re absolutely divine!!! I am guilty of being biased when it comes to my chocolates, I usually want it swiss or belgian, but I have to say that after tasting the new Goya chocolates collection recently, I want it Goya now too. 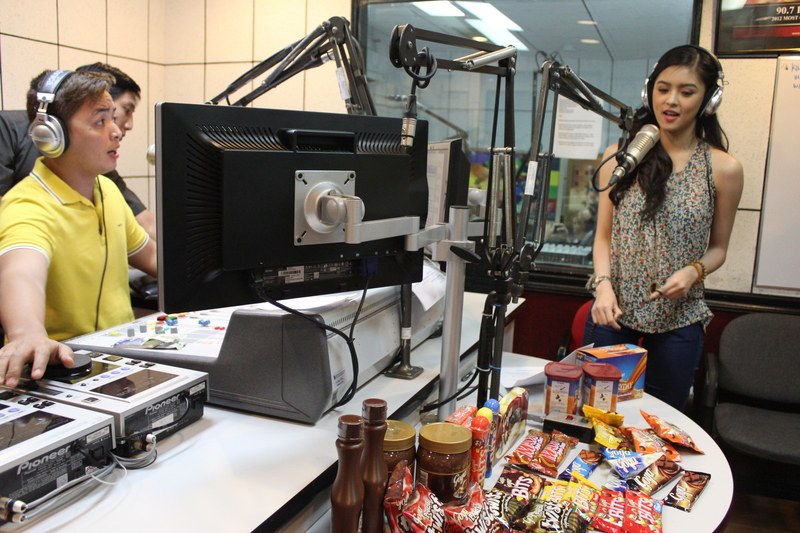 Anyhow, Goya, the delicious chocolate brand much-loved by many Filipinos, made a lot of people happy when Goya brand ambassadress, popular actress and certified movie queen Kim Chiu, visited popular FM radio stations Love Radio 90.7 and Yes FM 101. Kim visited Love Radio 90.7 during the program “True Love Confessions” to consult with the famous radio DJ Papa Jack, the host of the show himself, regarding concerns in her love life. Kim also joined DJ Chico Loco at the Yes FM 101.1, sister station of Love Radio, during his program “YES! Diaries” to listen as he reads letters from the show’s followers as they share about their life experiences. 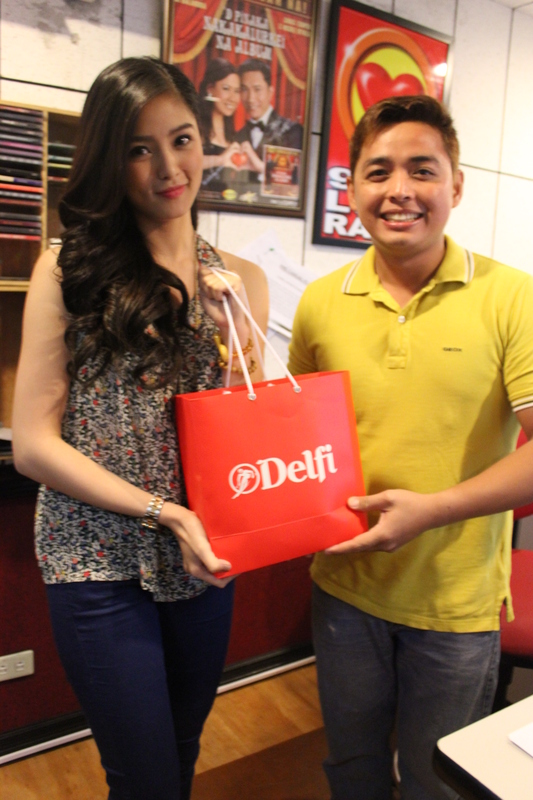 Both DJs gamely and happily welcomed Goya and Kim Chiu’s visit eventhough both programs seldom accept visitors. But for the love of Goya and Kim Chiu, they sure made an exception. During her visit, Kim and Goya excited listeners through a call-in radio promo. A security guard who related his fun experiences when he joined a training camp won a one-year supply of delightful Goya chocolates. The young actress encouraged listeners to give the new Goya chocolates a try. She related that chocolates are not only perfect as a snack but also as an everyday treat or even as a gift to a loved one or special someone. Kim also brought smiles to the staff of both stations when she and Goya gave away an assortment of Goya products like “Goya Everyday Chocolate Drink,” “Goya Bars” and “Goya Pretzel Twists” as their way of thanking the two stations for accommodating them during their visit. 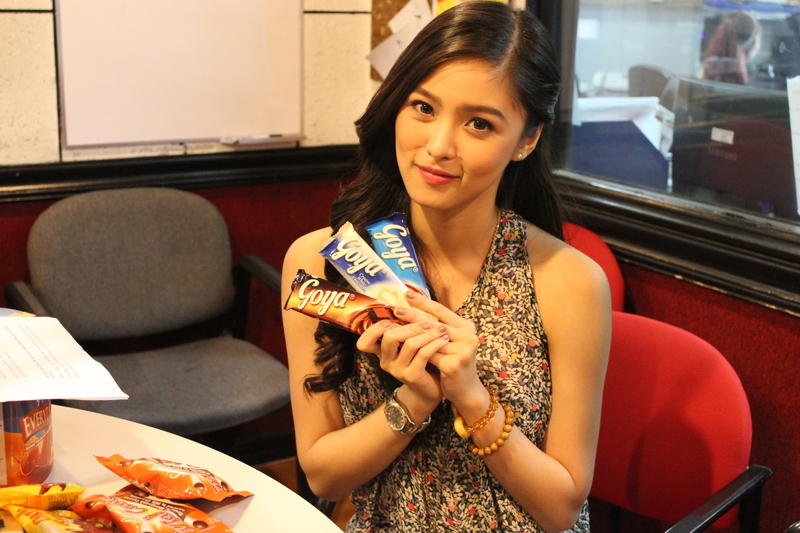 I say, let’s take Kim Chiu’s cue and munch on our Goya now! I am chocolate lover by heart. I simply love this stuff. Is Goya available outside of the Philippines?